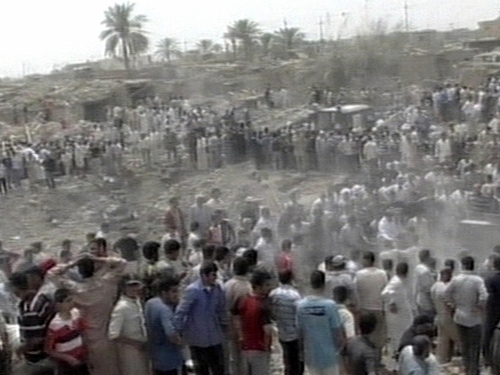 The attack came as the Iraqi Prime Minister urged citizens not to lose faith if a US military pull-back sparked more violence. Almost all US soldiers will leave urban centres by 30 June under a bilateral security pact signed last year and the entire force that invaded the country in 2003 must be gone by 2012. Hours after the prime minister Nuri al-Maliki spoke, the suicide bomber detonated a truck filled with explosives as crowds of worshippers left the mosque near Kirkuk. 67 people died, including women and children, and more than 200 were wounded as about 30 homes made of clay bricks disintegrated in the blast zone around the al-Rasul mosque in Taza. 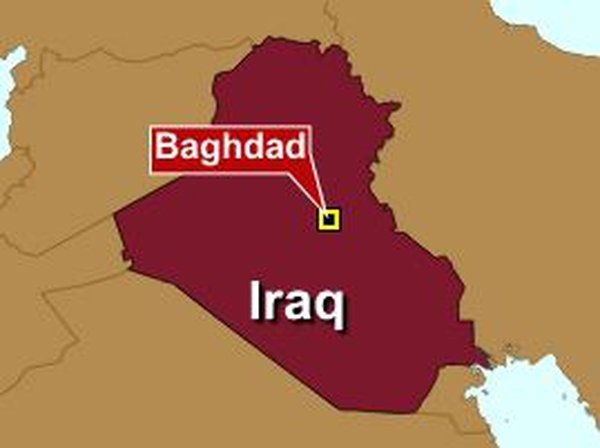 It is the worst bombing in Iraq since 68 people were killed in a twin bomb attack in Baghdad in March last year. The attack casts doubt on the ability of Iraqi security forces to take over after US troops leave. But a string of devastating bomb attacks in April was followed by what in Iraqi terms was a relative calm in May and June. It is not clear if that is due to the efforts of Iraqi police and soldiers or if it means insurgent groups, beaten back over the past two years in most of Iraq, now lack the organisation and support to keep up the momentum.